A few years ago, I stumbled upon a pasta recipe with gorgonzola cheese on Pinterest. At that time I’ve never had gorgonzola cheese before and I didn’t even know about it, but it looked so creamy and delicious that I had to make it. 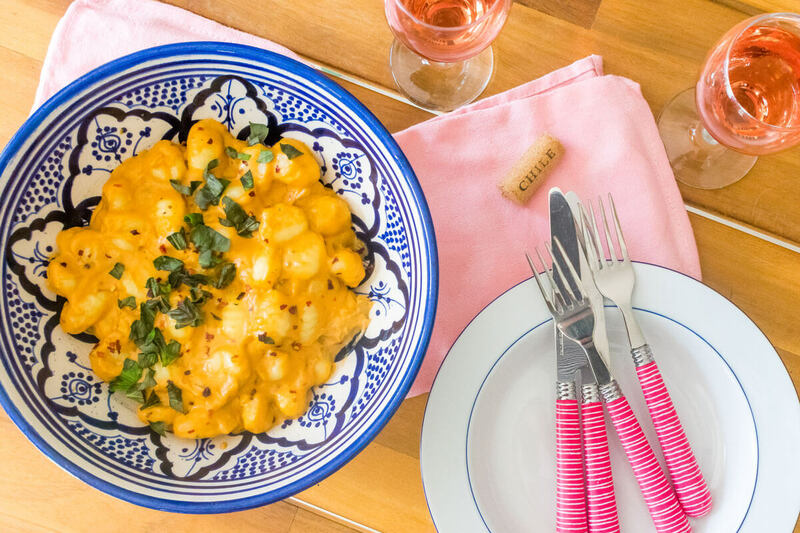 After making this dish for so long I decided to make a switch with resulted in this gnocchi with creamy gorgonzola sauce recipe. 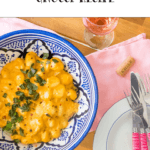 One of the reasons I completely adore this recipe is that I’m trying to adopt a flexitarian diet, but getting my boyfriend on board has been the hardest part. 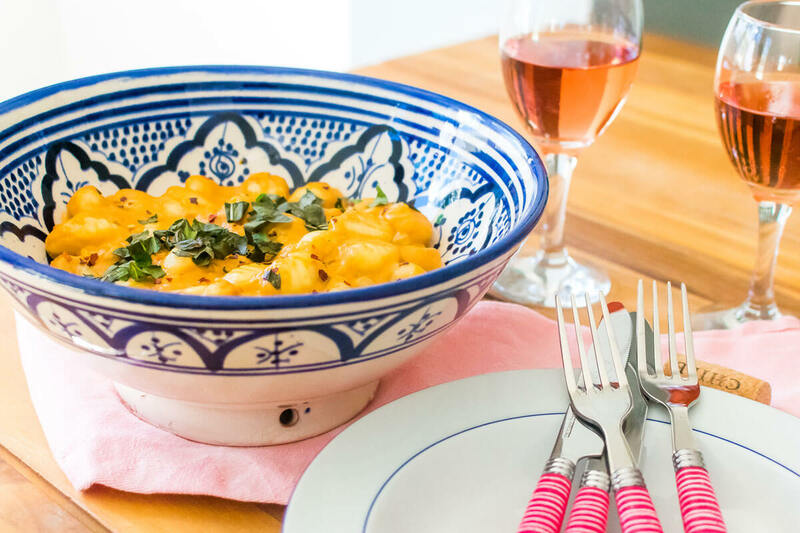 The gnocchi with creamy gorgonzola sauce recipe has no meat (only dairy) in it and you won’t even miss it. The first time I was making this dish he suggested adding bacon or ham, but after taking a bite he immediately took his comment back. That was the beginning of his acceptance for meatless dishes. After my triumph, I started playing with old recipe and seeking new recipe to reduce our meat intake. So, if you have any recipe that will help me in y journey please feel free to share. 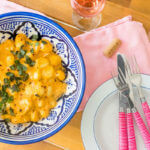 An easy and delicious gnocchi recipe with a creamy sauce of gorgonzola and tomato. Add the rosemary sprig, the tomato frito and the gorgonzola crumbles and mix everything. Let the mixture cook for about 5 minutes while stirring once or twice. In the meantime, cook the gnocchi in boiling water with salt. When all the gnocchi pops to the surface remove the water with a sieve. Remove the rosemary sprigs and add the gnocchi and blend everything together. Season with red pepper flakes, salt, and pepper. Garnish with basil leaves.